The Customize Windows > Computer and Internet > Hardware > What is Software Defined Data Center (SDDC)? What is Software Defined Data Center (SDDC)? The Software Defined Data Center is easier and cheaper to deploy IT resources for the next evolutionary step. 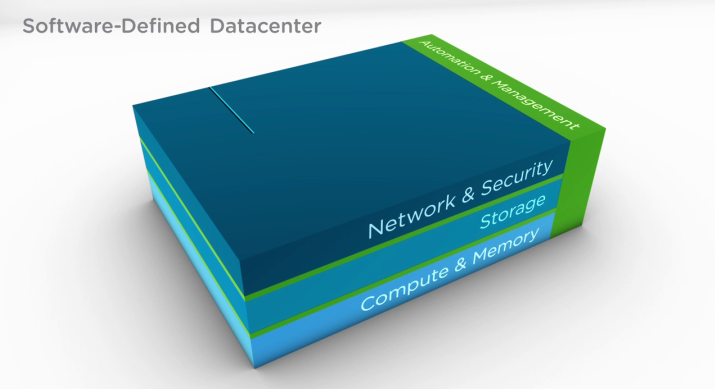 Previously, we talked about Software Defined Datacenter in conjunction with VMware vFabric. First it is cost savings in respect to hardware, then the simplified, centralized administration and better availability of the systems that the trend toward virtualized servers can be accelerated. Today, the increased flexibility in the data center, the number one driver is virtualization – whether it is for servers, clients, software applications or databases. Virtualization was a first and important step to achieve the basis for the required flexibility of IT services and IT has helped in a massive boost by now being regarded as strategically important business unit in the company. Now we face the next big change in the data center infrastructure, because virtualization does not stop at servers and clients, but now covers all components of the entire data center. We are reaching an age where computing is defined by software. Software Defined Data Center (SDDC) encompasses a variety of concepts and components of data center infrastructure wherein each component can be provisioned, operated, and managed through an application programming interface (API). Software Defined Data Center (SDDC) is an architectural approach to the data center that can encompass private, public, and hybrid clouds. In future, for the highest level of automation, flexibility and efficiency of the hardware dependency must be circumvented. To achieve this, we also need the storage, network and security components to be virtualized, grouped in pools, aggregated and flexibly deployed as software. Certainly it requires rethinking the data center operations over many years. These have evolved over time to largely fragmented environments where a variety of proprietary software applications are isolated to run on specific hardware components. The concept is not to conceal the inflexibility of special hardware through various revised script. The aim of these environments is rather to overcome the limitations of traditional infrastructures to provide new opportunities for the provision of all data center services. The combined services will be combined with intelligent, policy-based provisioning, automation and monitoring functions. Through APIs and more seamless expansion to third-party platforms and public cloud services is also possible. The data center of the future – Software Defined Data Center (SDDC) – leaves the physical limitations of data centers fall and all IT services can be flexibly adapted to the respective daily requirements and scaled accordingly. Against the background, almost all companies in recent years has already consolidated and allocated to servers virtual pools, this step is not as great as it may seem at first glance. Because, the same can now needed be applied to all other IT resources. We are convinced that such a solution will become increasingly necessary. Now, we can handle extremely large amounts of data with speeds and latencies, which conventional storage architectures no longer meet. This drives the development towards a software based infrastructure of course. One of the other corporate benefits that Software Defined Data Center (SDDC) with yourself is the unsurpassed reliability. The software-based architecture compensates hardware failures with minimal cost and provides failover, redundancy, and fault tolerance capabilities for critical areas. In case of hardware failures, the software automatically moves the affected workloads to other servers in the data center, minimizing the recovery time for service levels. A hardware failure is no more disaster for companies. The result is an optimized data center for the cloud era, which realizes an unprecedented business agility, providing the highest SLAs for all applications, a much simpler operation and lower costs. This Article Has Been Shared 8255 Times! Articles Related to What is Software Defined Data Center (SDDC)? Title: What is Software Defined Data Center (SDDC)? Cite this article as: Abhishek Ghosh, "What is Software Defined Data Center (SDDC)?," in The Customize Windows, September 30, 2013, April 21, 2019, https://thecustomizewindows.com/2013/09/what-is-software-defined-data-center-sddc/.